Hormones manage most of your body’s functions, so even a small hormonal imbalance can wreak havoc on your system. Internal medicine physician and bioidentical hormone replacement therapist Sanjay Khedia, MD, treats adult and elderly patients with various types of hormonal imbalances at his practice in Covina, California. He has a prestigious Advanced Bioidentical Hormone Replacement Therapy (ABHRT) certification. To find out how bioidentical hormone replacement therapy can help you, call or book an appointment online today. 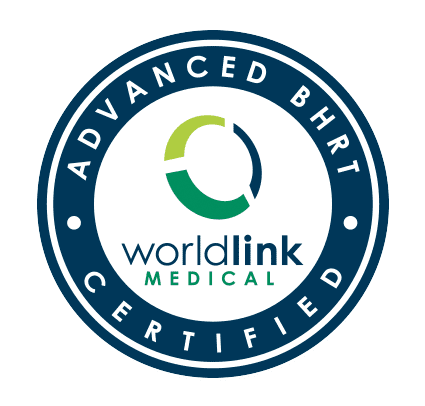 Bioidentical hormone replacement therapy (BHRT) is a revolutionary new treatment for men and women with hormone imbalances. Bioidentical hormones differ from those used in traditional hormone replacement therapy because they have an identical molecular structure to the hormones your body produces naturally. By mimicking natural hormones, BHRT causes fewer side effects than synthetic hormones. Dr. Khedia offers plant-based BioTE® hormone pellets, which are custom-compounded for your individual needs and free of synthetic hormones. Why would I consider bioidentical hormone replacement therapy? BHRT improves your quality of life by reducing these symptoms. It may even enhance your skin tone by restoring hydration and elasticity and smoothing out wrinkles. What conditions does bioidentical hormone replacement therapy treat? Hormone optimization helps to relieve the symptoms of these conditions and promote a healthier, happier life. First, Dr. Khedia performs a comprehensive physical exam and reviews your medical history. Then, he creates a personalized treatment plan based on your needs. Treatment may include custom-compounded BioTE hormone pellets formulated for your specific hormone imbalance and high-quality BioTE Nutraceuticals supplements to promote optimal health. Dr. Khedia inserts hormone pellets just beneath your skin, where they continuously release hormones as your body absorbs them. You take Nutraceuticals supplements orally to enhance the effects of BHRT. Most people notice an improvement in symptoms about two to four weeks after starting BioTE therapy, but total hormone optimization may take up to six months. Dr. Khedia reinserts new hormone pellets two to four times per year, depending on your needs. To find out if BHRT is right for you, call the office of Sanjay Khedia, MD, or book an appointment online.